In many ways, public transportation in Malaysia is slowly but surely improving. On top of that, so is the ridesharing industry which is always becoming increasingly competitive, not only offering transportation services but also rewards and other supporting services in an attempt to woo more passengers. The bottom line is that we are in a moment in history where getting around is easier and more rewarding than ever before. This doesn’t mean that we need to get rid of our personal vehicles altogether. The fact is, if we already have a car parked in our driveway, there will be moments when we’ll need to use them. The one major difference is that we can now reduce our dependence on them. As we use them less frequently, but we must make sure to not neglect them so that they don’t deteriorate completely and stop being useful to us. Fortunately, there are some very easy ways to maintain a car that we rarely drive. Here are some things to consider. Even if the batteries in our car do not get used, they still discharge energy at a slow rate. If left this way for too long, the battery will be too weak for when we need to use it to start our cars, requiring a jumpstart or a battery replacement. Because of this, it would be wise to give our car batteries a chance to recharge themselves from time to time. The easiest way to do this is to start our cars and idle them once every week or so. Some people recommend 15 minutes but some also do recommend doing so for a half-hour. Instead of just leaving your car to idle however, you might be better off taking the car out for a drive instead. At least you’ll get to spend some time with your car and you’ll be able to notice any problems the car may have, all while letting your car battery recharge itself. This idea of taking your car out for a drive once in awhile is also important for the engine. Being mechanical in nature, the engine has a lot of moving parts that need to move once in awhile so that it can stay oiled and lubricated. The engine is capable of keeping itself in that well-lubricated state, so long as it’s actually being used. Taking your car out for a short drive ensures that all the engine oil and lubrication move around as they should, especially at the right temperatures that they are designed to be used in. This is part of the reason behind the wisdom of ‘warming your car up once in awhile’ that our parents often tell us to do when not using our cars on a daily basis. While the idea of warming up a car occasionally is often aimed at keeping the car battery and engine healthy and operational, taking a car out for a drive is also important for our car tyres as well. Taking our car out for a drive to the petrol station to check on tyre pressure and refill air as needed is good, but it’s also good to give our tires a chance to move around as well. You see, when a car is parked in just one spot for so long, all of its weight is pushing down on the same spot of the tires. This leads to uneven wear on those tires which are designed to turn. At least by taking your car out for a drive once in awhile, the weight of the car rest on different parts of the tires when parked. Taking the car out for a drive to the petrol station helps with a lot of the suggestions made in this article, but it’s not just about warming up the engine and checking your tyre pressure. It is also a good idea to ensure that your fuel tank is kept filled to its maximum. This is because if your tank is at full capacity, that leaves no space for air to occupy it. Air in a half-empty and unused fuel tank could speed up oxidation and encourage rusting, which is something that is definitely good to avoid. 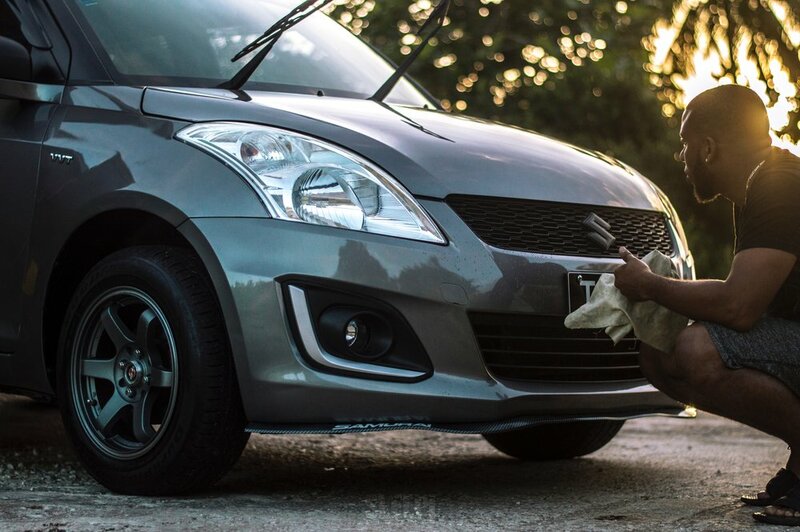 Last but not least, don’t forget to clean your car once in awhile, inside and out. A car left unused will naturally gather dust on the outside, while a lack of ventilation will leave the air inside the car stale. Take the car out for a drive, run the air conditioner or just roll down the windows to let fresh air flow through the entire cabin. It’s true that driving your car less will mean spending a lot less as well on fuel and maintenance. However, there will always come a time when we either want to or need to use the cars that we already have. By taking the steps mentioned above to maintain our beloved cars that have served us so well in the past, which we have already paid for anyway, we’ll be able to enjoy a good drive for when we truly need it.